Most tourists coming to Italy choose the summer months for their trip, but in truth, December can be an amazingly charming time of the year to visit. For some more holidays ideas, make sure to check our Holidays in Italy Section. The majority of tourist destinations are open throughout the month of December: you may want to take a note of this, for the 25th and 26th, so when you visit you won’t find yourself without nothing to do. Make sure, however, to check opening times for those days, as most likely they’ll be shorter than usual. Give yourself plenty of time to reach your chosen destination and make sure to be there on time not to be disappointed. December is one of the chillier months in Italy, as winter is cold in most of the country. Days are at their shortest, so don’t expect the sun to shine high long after 4 in the afternoon. Even though tourists may not be as numerous as during the summer, keep in mind that Italians tend to travel during the Christmas holidays and that ski resorts and art cities will get pretty busy over Christmas day and New Year’s. If you’re going to the North, expect temperatures similar to what you’d get in NY city or upstate, so come prepared. 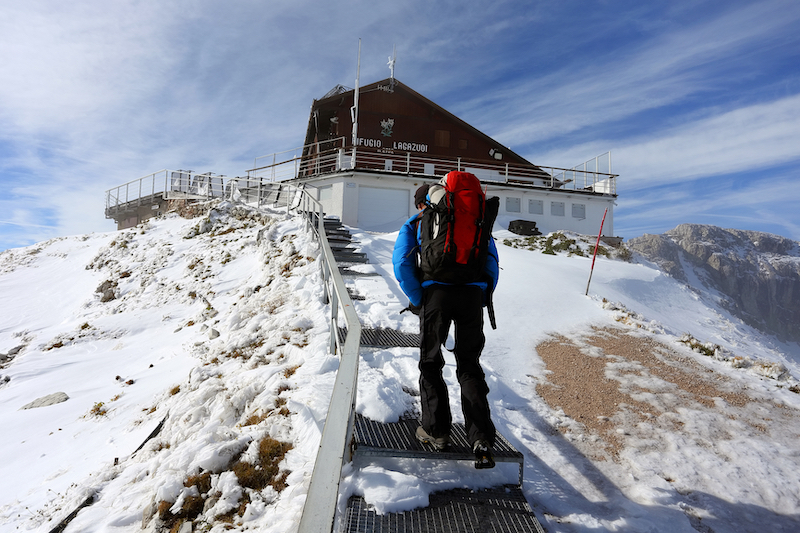 At the same time, the cold is a small price to pay when the Alps are covered in snow and you can enjoy them while sipping a nice, creamy hot chocolate. If you like that idea, you should definitely go for a skiing holiday on the Italian northern mountains: there are great skiing opportunities! Central Italy tends to be cold and wet in December, too, although temperatures are mellower than in the north. If certainly enjoying the mildest temperatures in the country, southern Italy is not immune to winter cold, as even the beautiful mediterranean coast experiences some rainy days. Even by the sea, nights are definitely quite chilly in the month of December, so be sure to pack warm clothes. Northern Italy is definitely the coldest part of Italy in December. In Milan, and in most major cities, the average temperature ranges from -3 to 7 degrees Celsius (26 to 45 degrees Fahrenheit). The closer you get to the hills and the Alps, the colder the temperature will get. In December, nights can be quite harsh and cold, and the days filled with snow on the hills and mountains, with rain on the Pianura Padana. In Central Italy, including cities like Rome, the temperature is at its coldest at this time of the year, and ranges approximately between 6 and 14 degrees Celsius (42 to 57 degrees Fahrenheit). In December, be ready for really cold nights and some of the wettest days of the year. Still, you may get lucky and get some pleasantly warm day at around 65F, just don’t count on it too much! In Southern Italy and in Sicily, temperatures drop considerably as the days get shorter. If you visit in December, you can expect them to be between 12 and 16 degrees Celsius (54 to 61 degrees Fahrenheit). Mild, if compared to the average of places like Milan and Turin, but definitely colder than the rest of the year. In December, precipitations reach their peak: the northern regions are prone to get quite a lot of snow, especially in the Alpine areas. Rome and Vatican City would be really crowded in December, especially around Christmas, since people from all over the country and the world travel to listen to the Pope addressing the crowds. For this reason, unless you have a spiritual interest in spending Christmas in the Holy City and wish to get the Pope’s blessing, you may prefer to avoid these locations. 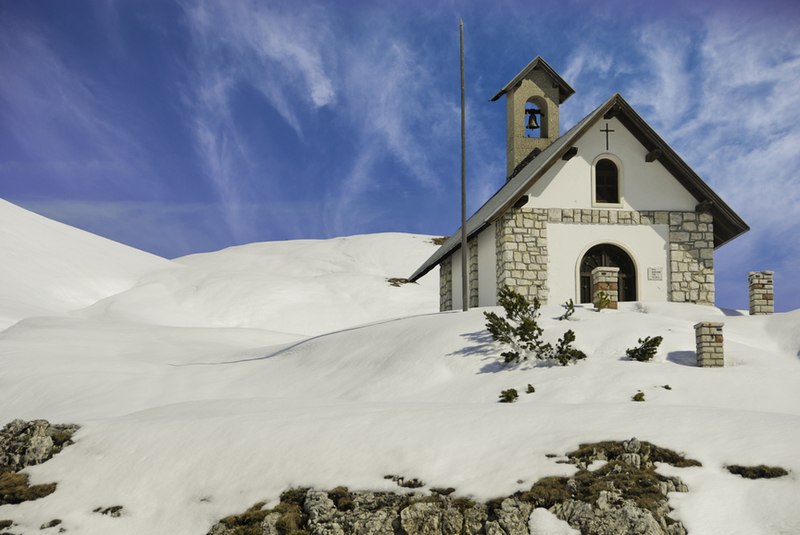 Ultimately, the best places to visit in December are the Alps and their marvellous ski resorts and villages. 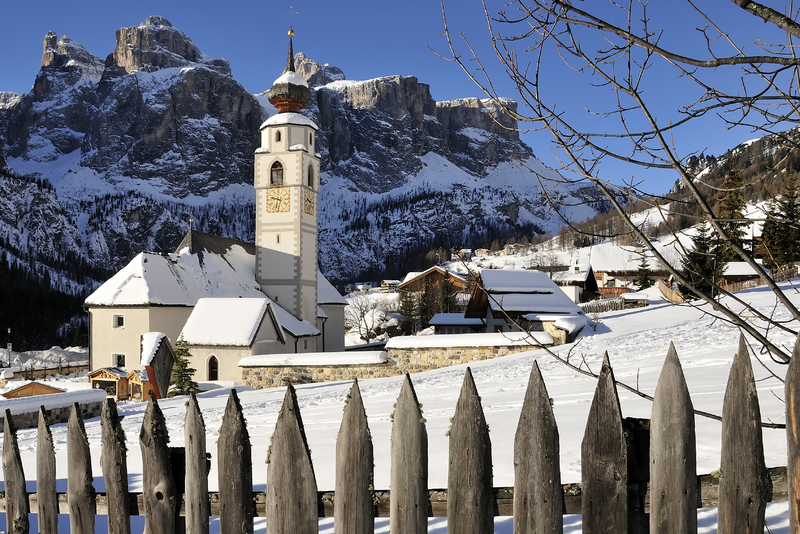 In Trentino Alto Adige there are the best Christmas markets of the country and they can be visited since the beginning of the month. In Italy, the month of December is not only and exclusively the month of Christmas: there are plenty more festivals and celebrations to enjoy, and we remand you to our Holidays in Italy section to learn more about it. Christmas celebrations include Christmas Eve, Day and St. Stephen’s Day, as well as, of course, New Year’s Eve, on the 31st of December. Each and every city in the country tends to organize special events dedicated to Christmas. Florence Noël, for instance, is a family event that takes places at the beginning of December in the beautiful city of Florence. It is mainly addressed to families and children, with loads of fun activities to enjoy together, including the ubiquitous presence of Babbo Natale, Santa Claus. You will also find nativity villages, chocolate stands, loads of music and delicious food. Straight afterward, always in Florence, you can enjoy the Christmas market of Heidelberg, until the 21st of the month. The Sagra del Cinghiale takes place in the medieval Tuscany city of Suvereto, which is in the province of Livorno. The Sagra this year begins on the 25thof November and continues until the 9th of December. It revolves around the gastronomic tradition related to wild boar. Beside wild boar based delicious dishes, you’ll also be able to enjoy fine wines, honey and olive oil from the area. During this festival people wear medieval outfits and take part in medieval competitions which makes the event more exciting and interesting. Saint Barbara Day festival takes place on Mount Etna‘s slopes and is celebrated on the 4th of December, in the Sicilian city of Paternò. During this celebration, a parade and an impressive nativity scene take centre stage. Saint Barbara is the city’s patron saint and is considered the protector of fire work makers and firemen. She has been considered for centuries a protective force against the eruptions of the Etna. The celebrations for San Nicolo’ ( or Nicola) take place on the 6th day of December and are particularly common in many areas of the Abruzzo and of course, in Bari. It is also present in northern areas of the country, such as Liguria. People celebrate this day with taralli, firm round biscuits which are often consumed along with wine and loaves of bread. Sant’Ambrogio‘s festival is a characteristic festivity of Milan, celebrated on the 7th of December. Saint Ambrogio is Milan’s patron saint, celebrated in the city with a festive market selling foods, drinks and artisanal objects. The Feast Day of the Immaculate Conception is observed as a national holiday, on the 8th of December. You will find celebrations across Italy. Music, parades and feasts are common occurences all over the country. In the region of Abruzzo people celebrate this day by singing traditional songs and lighting bonfires. Rome celebrates with flower wreaths and the Pope celebrates mass at the Spanish Steps. As this is a national holiday banks and offices will remain closed, however most of the stores will be open for holiday shopping. Santa Lucia Day: This day is celebrated on the 13th day of December in various Italian cities. Sicily has one of the biggest celebrations, in Siracusa, where a statue of the saint is carried to the Church of Santa Lucia on a golden coffin. On the 20th of December another celebration takes place to take her back to her tomb. Christmas in Italy is taken very seriously and is a very important holiday for Italians. Christmas in Italy is a truly special moment, in a way shared by not many other countries. Natale, Christmas for we Italians, is still a a holy day, where the millennial tradition of presepi, nativity scenes and midnight masses are still more prevalent and loved than the red and white figure of Santa Claus. Basically the whole month of December in Italy revolves around this holiday.